Hey there Stitchers and Seamers! The New Year is around the corner and boy did it sneak up on me this year. What are your Cosplay Resolutions for the new year? New projects? New skills sets? Just want to get that craft room in order? We would love to hear what your resolutions are. Blank Resolution slate below if you want to fill one out and share it. Turn them in by January 3rd to be featured on the first episode of the new year! 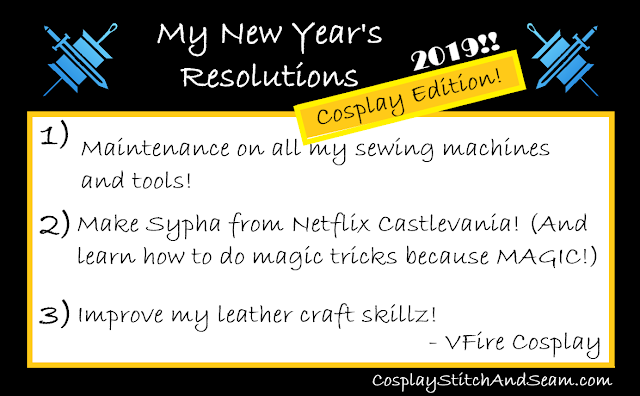 You can also email us at CosplayStitchAndSeam [at] gmail [dot] com or fill out the form on our contact page. Thanks for reading and for sharing!